This time of year divers in So Cal tend to get a lot bottom time looking for lobsters that would just make a dinner menus both perfect and complete. It’s a high value target and great for the grabbing but it’s not the only tasty invertebrate in the ocean. There are lots of other things that are really delicious to eat and readily available and we want to talk to you about them. The first is the red sea urchin, a prickly yet delicious treat that most divers pass over time and time again while looking for higher profile targets like the spiny lobster or the ever elusive and dangerous abalone. Clustered in crevasses along California’s rocky reefs, these spikey sensations are one of the most versatile treats to be found statewide. The Japanese call them Uni but you’ll call them delicious, especially with this tremendously easy recipe that will allow you to enjoy the briny taste of the ocean in an old world classic. Finding them is not always a priority nor is it always easy, but when you get the chance, you should take advantage of it. Personally, I’m always foraging urchins when I’m trying to take lobster or abs, always carrying an aluminum rake with me to get them out of reef cracks. Once I have a few in my bag the question is what to do with them and to that question there are many answers. 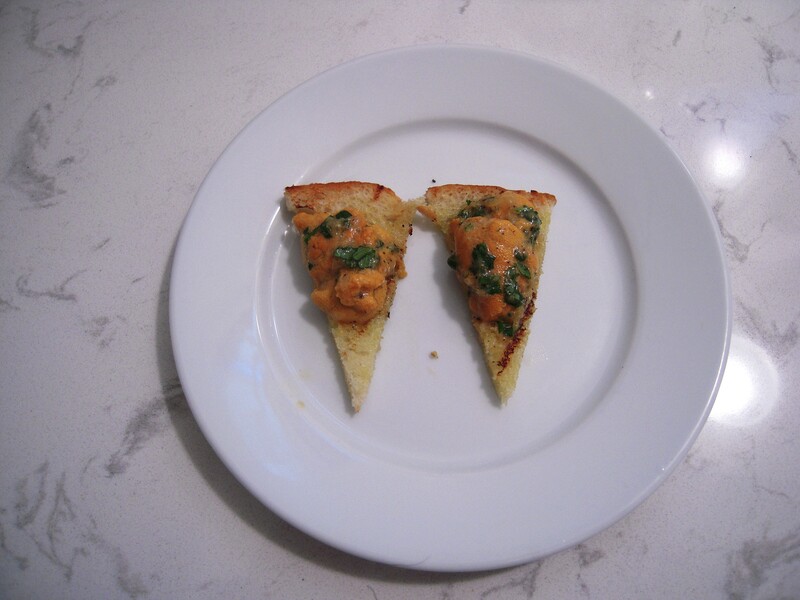 One of my favorite recipes and also one of the simplest is to make Urchin Bruschetta. Enough with the ingredients. On to the business at hand. Whisk together the first 6 on the list. Drop the urchin and S&P and gently fold in. 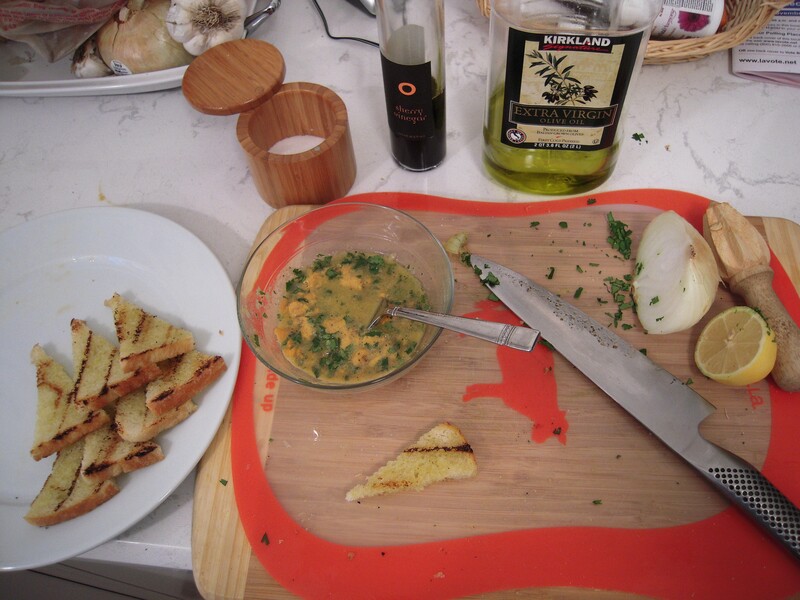 Give it a few minutes to meld and then put them onto an appropriately toasted crusty bread. Eat, re-top, repeat. You’ll love it. 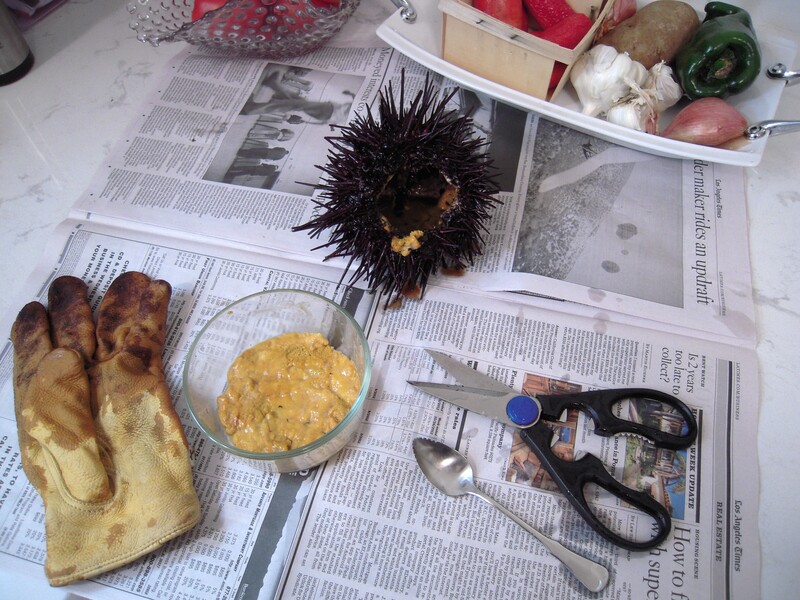 It’s the briny creaminess of the urchin melding with Mediterranean techniques that provides a depth of flavor that will require any diver to make a safety stop. It’s a great party starter or a quick treat right out of the water and at $14 per pound at local fish markets, you’ll be enjoying a diver’s treat when you take it yourself. Try it. You’ll be glad you did.